Refresh PADI courses in Sotogrande. Refresh PADI programs to refresh your techniques. Refresh PADI. If you have not had time to dive and you do not feel safe, you may need to do a diving course or program reminders. Do not worry, diving is not forgotten, you just have to remember the techniques and important things to enjoy and dive safely. 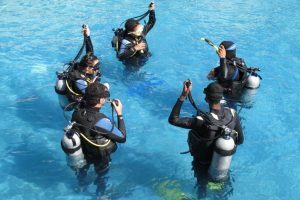 The PADI programs and courses are designed to remember the important aspects and not leave anything behind. After this, you may think that it is best to become an advanced or specialty diver in some kind of different diving. Course duration: 1 day This course is the perfect way to update your PADI Open Water Diver Course skills and knowledge before jumping back into the water. 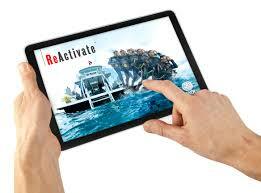 Whether you want some reminders or need to review the basics, ReActivate is customized for you. Review the concepts of diving comfortably on your tablet, mobile device or computer. Then you will dive with a PADI Professional. It’s quick and easy and a good way to prepare for your next PADI course or be ready for a diving vacation. Know more … .